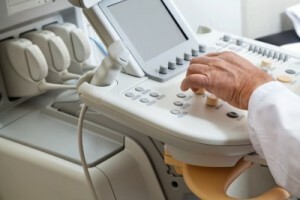 Alternative Ultrasound Careers for Sonographers. Outside of the NHS or Private hospitals there are a whole range of alternative Ultrasound careers for someone with a clinical Ultrasound background, don’t think for one moment you are limited to the routine hospital scanning you are familiar with. Today in the UK there is an exceptionally high demand for clinically trained Sonographers to join Ultrasound businesses, your skills and knowledge of diagnostic medical imaging gives you a unique perspective that employers are looking for. Have you considered becoming an Applications Specialist? The service received from Tom was extremely productive. One of the main successes was Seltek’s ability to understand the true needs/wants of the candidate and employer. By investing time at the beginning and understanding the broader requirements, Seltek was able to reduce the time spent sourcing the right role. I found their ability to offer sound advice throughout the whole process extremely professional, both in terms of recruitment, and industry related advice. Delivered what they were asked to and kept in regular contact to ensure needs were always being addressed.